Compare prices and find affordable car hire in Newark. We search among multiple suppliers to find the cheapest prices. Unlimited mileage, the necessary insurance and tax are included in the rate given. Newark is the largest city in New Jersey. It boasts a population of 277,140 inhabitants (2010) and is 67.3 square kilometers in size. It is located in very close proximity to New York City. 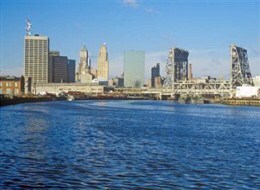 In fact, many people who live in Newark commute to the city for work. There is much to see and do while staying in Newark, New Jersey. There is the Newark Museum, which has over 75 galleries that include a planetarium, mini zoo, sculpture garden, arts and science exhibits, and an old schoolhouse. Other things to see in Newark include Military Park, Thomas Edison national Historical Park, and Branch Brook Park. Those into sports can see the NHL league the New Jersey Devils play or the NBA team, the New Jersey Nets. The city of Newark, New Jersey is serviced by the Newark Liberty International Airport (EWR). It is located only 24 kilometers from Midtown Manhattan.